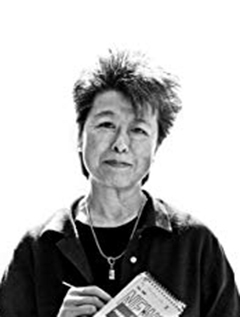 Helen Zia is the author of Asian American Dreams: The Emergence of an American People, a finalist for the Kiriyama Pacific Rim Book Prize (Bill Clinton referred to the book in two separate Rose Garden speeches). Zia is the co-author, with Wen Ho Lee, of My Country Versus Me: The First-Hand Account by the Los Alamos Scientist Who Was Falsely Accused of Being a Spy. She is also a former executive editor of Ms. magazine. A Fulbright Scholar, Zia first visited China in 1972, just after President Nixon's historic trip. A graduate of Princeton University, she holds an honorary doctor of laws degree from the City University of New York School of Law and lives in the San Francisco Bay Area.